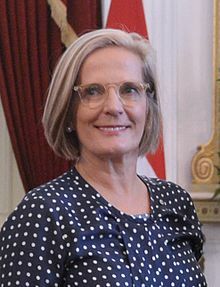 Congratulations to Lucy Turnbull on being awarded the German Cross of the Order of Merit for services to Australian German bilateral relations. Lucy has been Honorary President of our sister organisation in Australia for the past three years and has also been active in the Australia Germany Advisory Group. Lucy is also Chair of the biotechnology company Prime Bioscience and is a regular visitor to Germany.